beställ nu och känn dig trygg. välj vad som passar dig! Ta reda på ditt pris och beställ. Från - det datum du vill hämta ut din enhet från posten. Till - det datum då du skickar tillbaka enheten. Sen retur debiteras extra! Se till att du skickar tillbaka din satellitenhet på returdagen. Sen retur utan återkoppling debiteras 60 kr per dag. Detaljer om denna beställning kan ändras även efter att beställningen har lagts i. Du kommer att kunna registrera nöduppgifter senare i våra TrackLog-appverktyg. Alla ändringar i användaruppgifter uppdateras i databasen. 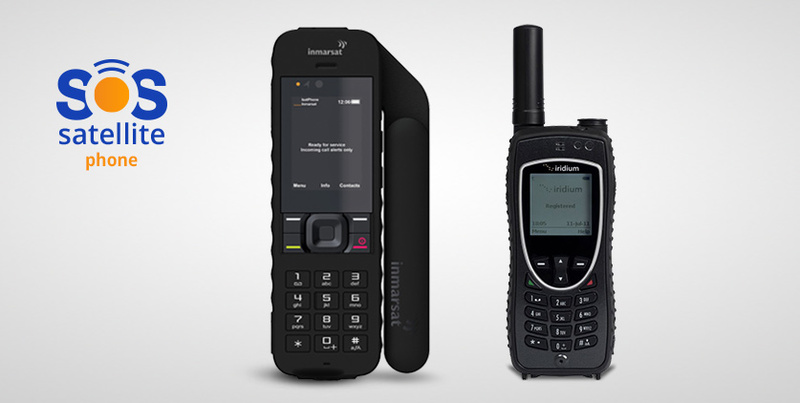 Fjallcom satellite SOS AB (hereinafter: "Fjallcom") purchases various satellite communication devices and services operating in different networks, which we do so in order to provide a variety of solutions to the various needs of our customers. We maintain support and emergency services to provide around the clock service to our customers. We developed our own applications such as web platform, mobile application and a variety of other solutions for the travelers and those who stay home so that we can provide unique and accurate solutions. In order to provide these advanced services we use our own code, third-party programs and many other services. The rental conditions below clarify our dependence on environmental conditions and third party services, and make it clear that since we use advanced technologies, equipment and services, there can be malfunctions that are beyond our control and technical faults in hardware, software and related services may arise. 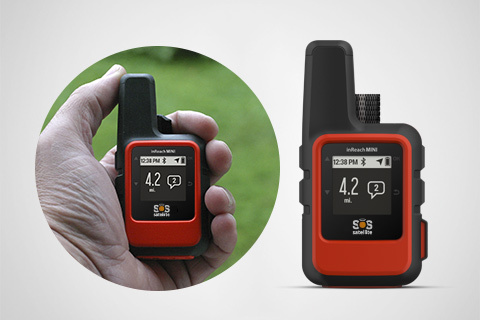 Fjallcom satellite SOS AB (hereinafter "Fjallcom") rents satellite communications equipment and develops and operates an Internet application, mobile application and website for the use of its customers. The following conditions are intended to clarify the dependence of Fjallcom on the services provided by the manufacturers and various satellite communications devices (e.g. Garmin, Iridium, Inmarsat, Globalstar, and more). Fjallcom is not the manufacturer of the devices it rents, and it purchases the equipment from various international companies. Fjallcom purchases from the various manufacturers the devices, accessories, support service, accompanying applications and all related items and services related to the proper operation of the device. Fjallcom company is not responsible for problems that may result from generic malfunctions in the device, software failures on the manufacturers side and other unexpected problems in the device that may arise during the rental. Fjallcom is not responsible for problems that may arise from changes and updates made by the various manufacturers in hardware and software. Fjallcom provides the device after testing by sending a message and confirming the success of the broadcast, the reception system and presentation in the system. 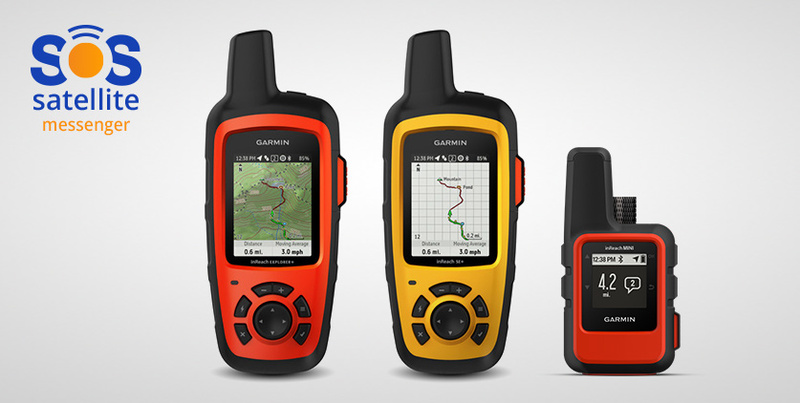 Fjallcom is not responsible for the availability of communications, non-delivery of messages or failure to display locations or any other failure resulting from faulty functioning of the devices and the infrastructure it provides. If a malfunction is found in the device, the user is responsible for returning the device to Fjallcom representative for inspection. If the device is found to be defective, the user will be given an alternative device. The following conditions are intended to clarify the dependence of Fjallcom on the services provided by the satellite companies. Since Fjallcom does not own the satellite network and the company purchases various services from the satellite companies and depends on them for the supply of the service, it is unable to guarantee the availability of the service. Fjallcom purchases the satellite communications services on a daily, monthly or annual basis from the satellite companies, which declare the availability of communications. Fjallcom is not responsible for the unavailability of satellite communications, whether for short or long periods of time, and does not routinely monitor the availability of communications services. Fjallcom provides the ability to store locations and messages in a database, display locations and messages, and distribute messages to distribution lists. Fjallcom uses external services to send and reveive messages and is not responsible for malfunctions due to lack of availability or faulty operation of the relevant external service providers (including e-mail distribution, text messaging, e-mail services etc.). In order to save, view, and distribute messages and locations, Fjallcom uses external servers and data services with high international standards with professional management and backup. Fjallcom is not responsible for any malfunction caused by the lack of availability of servers and databases. The following terms are intended to clarify the dependence of a small world company on the telephone system and the manned response centers in order to be available to its customers 24 hours a day. Fjallcom maintains a continuous response 24 hours a day by service representatives 24/7, external 24 hour call center, and an additional backup center to respond to SOS. Nevertheless, despite the many backups, the ability of Fjallcom to provide a human telephone response to calls 24 hours a day depends on the availability of external services listed above and technical availability of the cellular network, switchboard system and cellular phones. Fjallcom is not responsible for the unavailability of its representatives due to a problem with the external service providers or a technical malfunction. The following conditions are intended to clarify the dependence of Fjallcom on the services provided by the insurance companies and the various rescue units. It is the responsibility of the user of the equipment to ensure that the rescue insurance is appropriate for the activity he actually performs while renting the device from Fjallcom. In the event of loss or damage to the device or accessories, Fjallcom reserves the right to collect the amounts appearing in the price list published on the Companys website. It is the responsibility of the user to return the device to Fjallcom at the end of the rental period. Fjallcom reserves the right to charge for additional days in the event of an uncoordinated delay in returning the device at the price advertised on the website, in the rental form and in the various documents used for ordering the device. Fjallcom reserves the right to charge for air time or data and messages consumed in accordance with the rental terms of the device specified in the price list on the website, in the rental form various documents used for ordering the device. 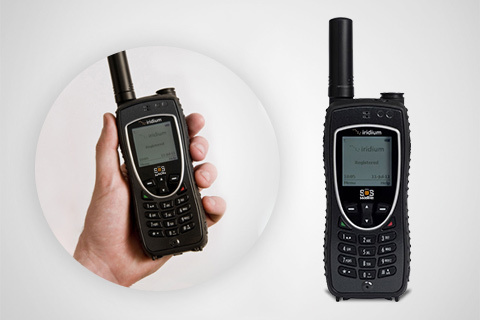 Fjallcom rents the satellite communications equipment for global use, regardless of the destination stated in the order form or any written or oral information given to Fjallcom representatives. It is the responsibility of the renter to ensure that the use of the satellite device is legal in the country in which it is to be used. Fjallcom does not check the legality of satellite communications in different countries and cannot be responsible for any complaint or action taken by the authorities in the country where the user uses the device. Fjallcom does not undertake to inform its customers about the legality of the use of satellite devices in various countries. In general and without obligation, some countries where there may be concern or information that the use of satellite communication is prohibited or requires special approval: Israel, India, North Korea, Cuba, Burma, Bangladesh, Nigeria, Sudan, Sri Lanka, Russia, Chad, Jordan. VI REKOMMENDERAR! Text-kommunikation. 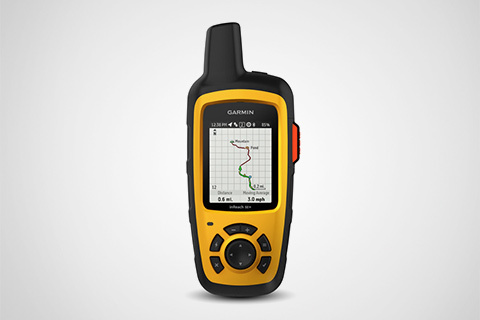 Tålig och lätt, GPS-navigation & kartor, mycket starkt batteri - Perfekt för utomhusaktivitet. När du inte kan kompromissa med röstsamtal, satellittelefon finns att hyra till en högre kostnad men du kan ringa från alla platser på jorden. Enkel och funktionell satellittelefon. Anslut snabbt till nätverket, tillförlitlig kommunikation. Se till att din personliga försäkring täcker den! 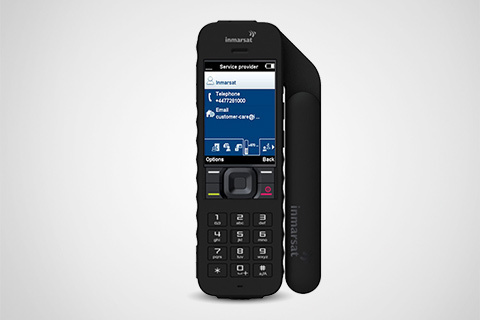 Irisium EXTREME - Small, comfortable, strong and equipt with SOS button and GPS-based services. Garmins tvåvägs satellitsändare. 100% global täckning, SOS-knapp, textmeddelanden ochenkel navigering. Robust och lätt att använda. Om du inte hyr enheten med försäkring, se till att din personliga försäkring täcker den! Garmins EXPLORER + är precis samma tvåvägs satellitsändare som INREACH SE + men med avancerad navigering och kartor. NY! Den minsta satellitsändaren i världen med all kommunikationsförmåga hos SE+ och EXPLORER. Up to 24 days tracking (30 min int.) in power save mode. Up to 90 hours with tracking 10 min int. Up to 1 year when shut down.